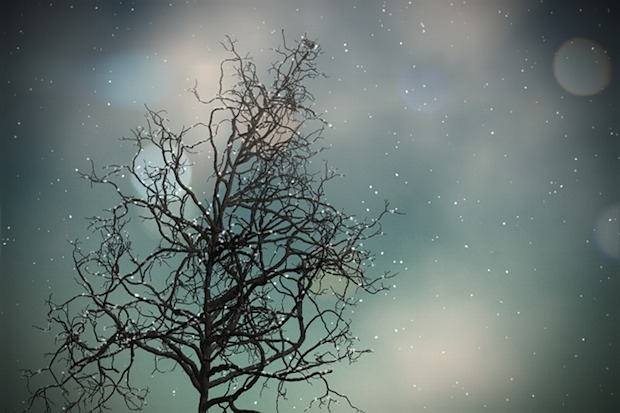 Shorelines is a beautiful free app for iPad, iPhone, and iPod touch that generates winter scenes complete with falling snow, trees, and rolling fog. The trees are randomly generated, the snow gradually accumulates on the branches, and you can tilt the iPad or iPhone to affect the gravity and direction of the snow fall. Shaking the iOS device will even shake the snow off the trees branches. Just don’t let the name fool you, there aren’t any sea shores or ocean scenes, Shorelines is all winter and snow. The eye-candy centric app is basically an interactive screensaver and doesn’t have many features, nor should it. Tap the circular arrow in the lower right corner to regenerate a scene, or the camera in the bottom left corner to save the image to your iOS Photo Album where it can be used as wallpaper or sent around. A perfect addition to any idle iPad, iPhone, or iPod touch this holiday season. If you have a spare Mac or PC sitting around, don’t forget to grab the retro fireplace app too. It crashed my iPad 1st gen.
Nice but my favorite snow/xmas app is still Zen of Snow.